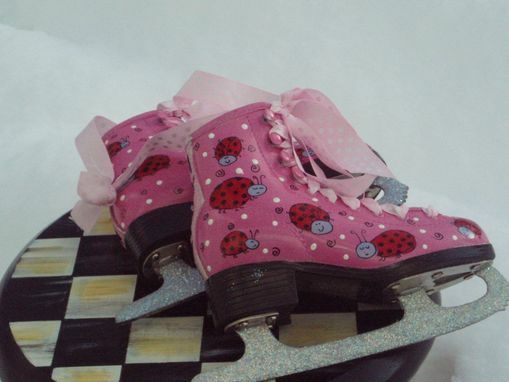 My holiday/winter-themed skates have been popular these last few months, but custom skates are PERFECT for someone who enjoys the sport with ANY theme. This design was requested by a customer whose daughters skating coach just had a baby. You guessed it, the baby's name is Adalyn. The nursery is decorated in a lady bug theme. 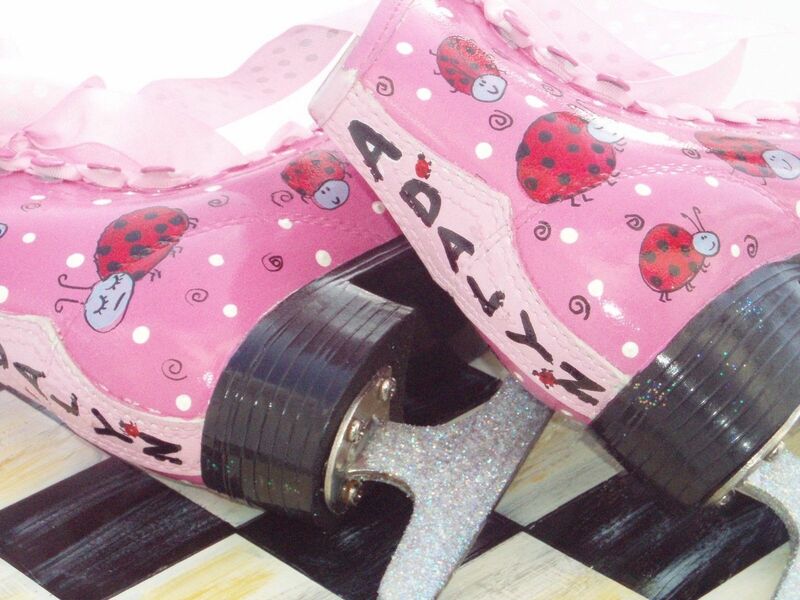 These skates were painted especially for her. 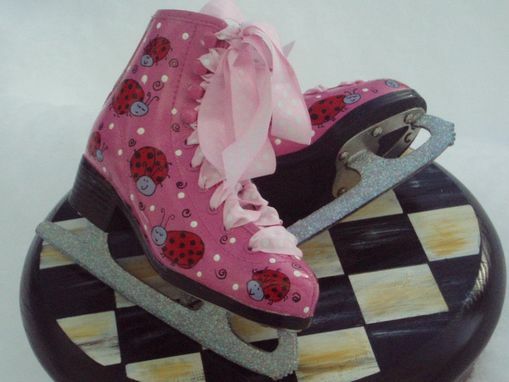 Order these skates or request your own design. Just convo me.